Entercom has announced that "Flashpoint with Cherri Gregg" will be expanded to four of its stations in Philadelphia. In addition to KYW-AM (KYW Newsradio), the program can now also be heard on WBEB-FM (B101.1), WOGL-FM (98.1 WOGL) and WTDY-FM (96.5 WTDY) and will be broadcast on WPHT-FM (Talk Radio 1210) beginning April 14. "We couldn't be prouder of what 'Flashpoint with Cherri Gregg' has accomplished in just over a year," said Entercom Philadelphia Senior VP/Market Manager David Yadgaroff. "The program has become an integral part of KYW Newsradio's connection to the station's diverse audience. We're confident that the show will connect with new audiences in the Philadelphia area in a meaningful way." "I'm thrilled to welcome new listeners to the ‘Flashpoint' family and to get acquainted with the issues that are most important to them in and around Philadelphia," said Gregg. "Our widely popular program aims to move our community in a positive direction and the expansion to four additional stations allows for deeper discussions on topics impacting our city." 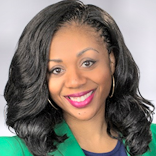 The weekly program, hosted by award-winning community affairs reporter Cherri Gregg, provides a forum for local and national influencers, as well as listeners, to share their points of view on the most relevant news stories of the week. The show is presented in three segments: The Flashpoint Debate, a Newsmaker interview, and a non-profit "Change Maker of the Week," which highlights an individual or group making a difference in the community.